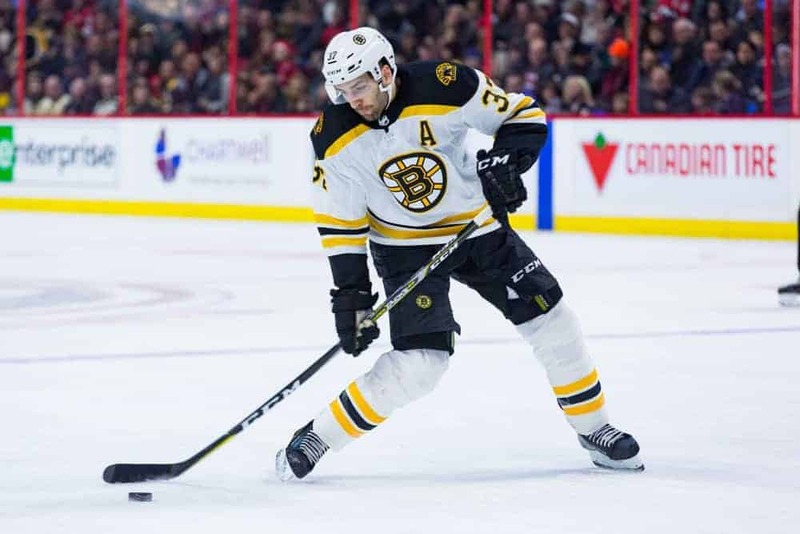 This article focuses on today’s four-game NHL main slate, highlights a few DFS players that stand out, and gives you a few potential wagers against the spread. Feel free to jump in our sports betting Slack channel for additional information and updates when it comes to tonight’s action. Make sure to stay tuned for additional announcements as we continue to add articles, videos, and additional tools centered around our sports betting content. Make sure to follow our @AwesemoOdds twitter account for the latest. Do watch for line shifts, last-minute injuries, and illnesses. Please note that the four-game slate starts at 3:00 PM EST for all your sports betting needs and watch for updates on social media. Toronto @ Boston, 8 PM EDT – Game One featured a little of everything as Boston and Toronto traded shots and then Toronto took over at key points with a short-handed penalty shot goal by Mitch Marner, that put Boston on their heels for a good portion of the rest of the game. Boston had some moments but just were not the same after that deflating goal. Frederik Andersen was the difference maker early and stopped 37 shots overall in the win. If the moneyline stays around -135 to -145 for Boston, that would be a good number to bet. Toronto can keep this game close especially if Mitch Marner continues to stay active against Boston’s defense. Every time he stretches the ice, something good happens for Toronto. Boston’s best offense may be to hope their top-six becomes harder to play against. Toronto made Game 1 too easy as they even hemmed in the Bergeron line an unusual amount. The over/under projects to stay at 6 and expects to stay right around there. The currently projected goalie matchup is again Frederik Andersen versus Tuukka Rask. A key matchup once again will be the Auston Matthews versus the Patrice Bergeron line. Toronto won that matchup easily in Game 1 and the top-six matchups as well. Boston (-140) vs Toronto – Boston at -135 or -140 probably would be more ideal but this -145 may take a while to budge (-140 available on FanDuel Sportsbook). Toronto proved in Game 1 that they can dictate matchups when their players are skating and engaging the Bruins in their zone. The Bruins know they have to play better and more cohesive. It will also help if Tuukka Rask makes a few more critical saves as Frederik Andersen did. Boston must get their special teams going in the right direction or Toronto will be a stronger play going forward in this series. Washington (-160) vs Carolina, over 5 1/2 – This matchup sets up nicely for Washington. Carolina generates a lot of their chances from the outside, while Washington has been victimized repeatedly down the middle of the ice by teams. If they can keep Carolina mostly to the perimeter, the Capitals should again be able to generate transition chances from their defense to their centers. It is why Washington was able to go up 3-0 in short order. The only question on the over is can Carolina score 2-3 goals again. That seems to be a growing possibility given the emergence of Andrei Svechnikov. Washington had a tough time stopping him from getting off his quick release of a shot. If Carolina picked up on that, this could become a series. The over of 5 1/2 is currently around -120. So, the goal prop of six or more goals is a -150 which puts the Boston over into play (it’s at six). Boston scoring three or four goals is at a respectable +125 as well. The 60-minute line for Washington is just -105 which is basically even money. Nashville scoring three or four goals is +135 which is not a terrible number if it stays there. Lastly, Toronto scoring three or four goals is an enticing +140. That screams a risky proposition but consider how strange the first few days of the playoffs are. Columbus scored five goals on Friday night for goodness sake! Lars Eller – Washington Capitals – $3700 DK – The Capitals’ third line is more than capable of making life miserable for Carolina. Eller scored in game number one and had a few more scoring chances as well. His price on DraftKings alone makes him a solid value on Saturday. Again, this is a DraftKings only play as Eller is not on the FanDuel main slate (which is only the three evening games). Finally, Eller’s shots and blocked shots trended upwards in last year’s playoffs compared to the regular season. He had five combined in Game 1. It is something to monitor. Roope Hintz – Dallas Stars – $3200 DK – Spotlighting values on this NHL slate is important tonight because there is an elevated amount of them, so we want to find the best ones. Hintz had six shots on goal, a post hit, and four scoring chances against Nashville in Game 1. His speed rattled Nashville quite a few times as their defense could not adapt to that sudden burst up the ice. Will Nashville adjust or will Dallas continue to utilize Hintz even more? If you have any NHL questions, find me in the sports betting channel on the Awesemo.com premium Slack chat or @ChrisWasselDFS on twitter.